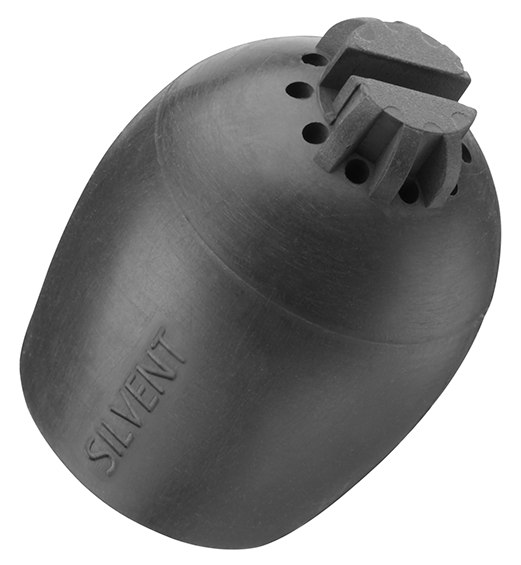 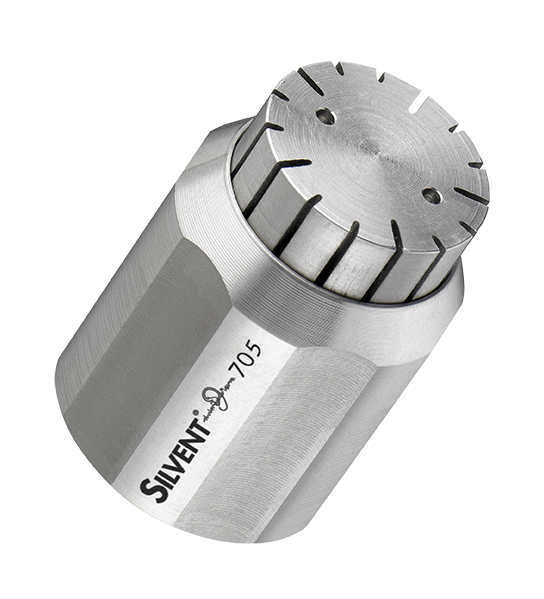 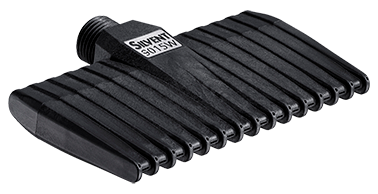 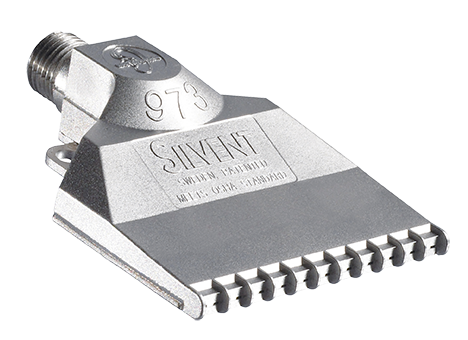 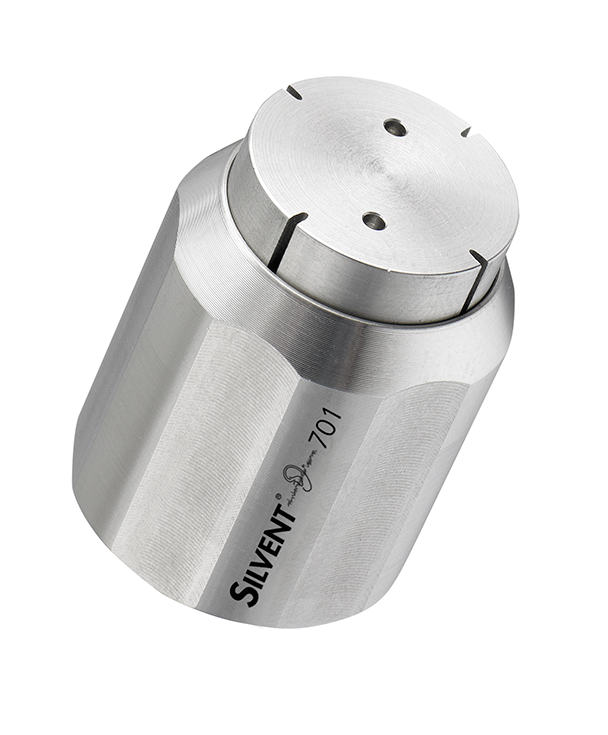 SILVENT 700 M: specially made entirely of stainless steel with aerodynamic slots to allow optimal utilization of compressed air while keeping the noise level to a minimum. 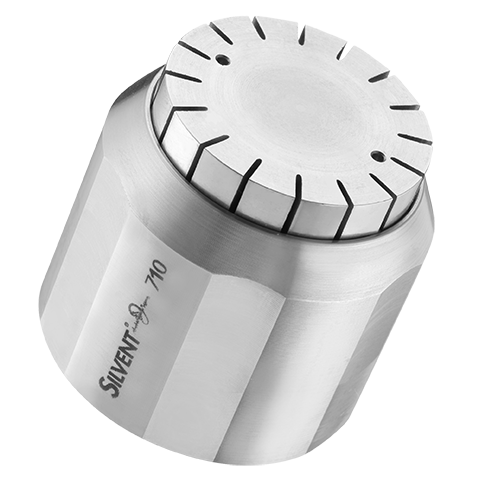 Hexagonal design fits a 14 mm (0.55") wrench. 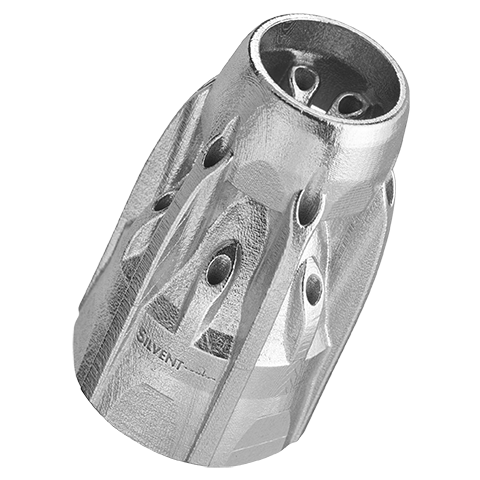 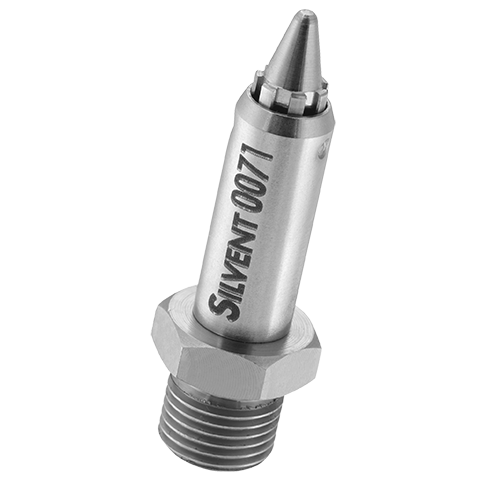 Features smaller dimensions than other nozzles in SILVENT's 700 series and therefore the right choice in applications where clearance is a problem. 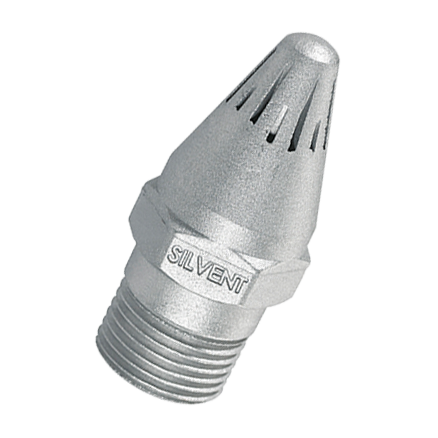 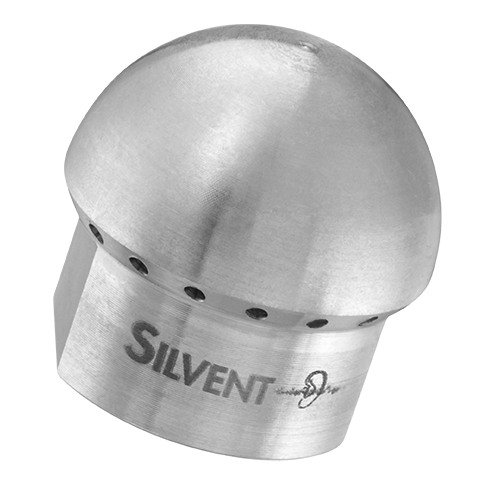 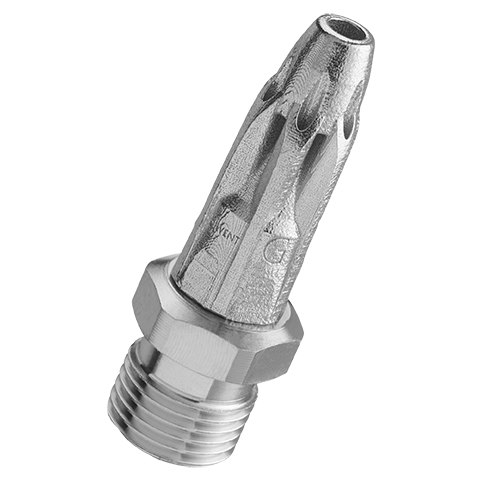 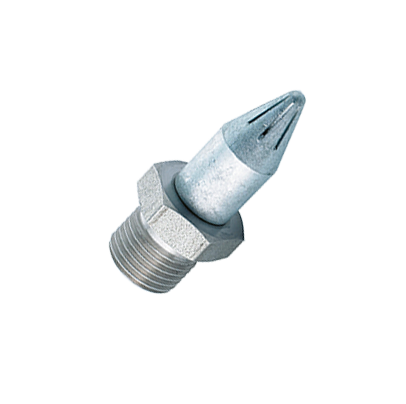 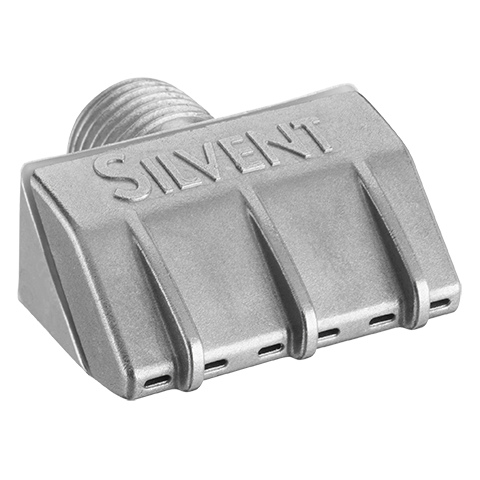 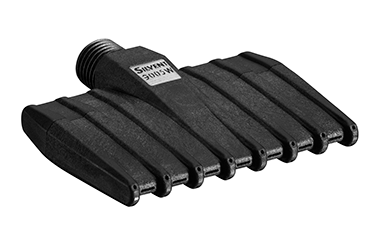 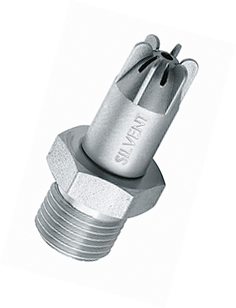 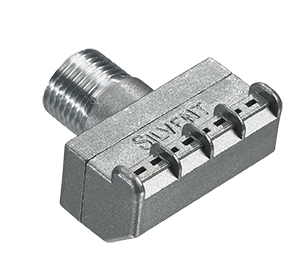 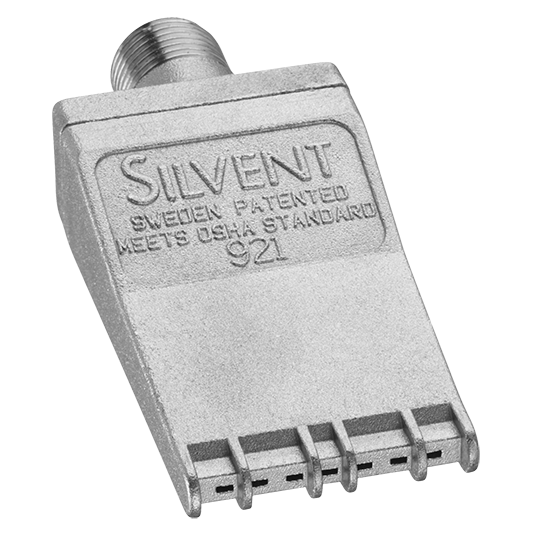 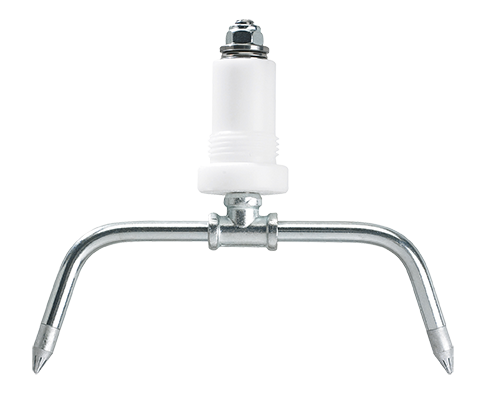 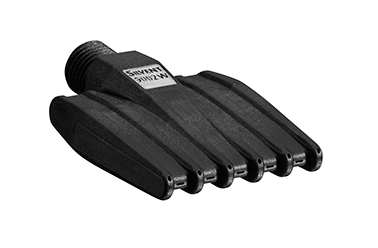 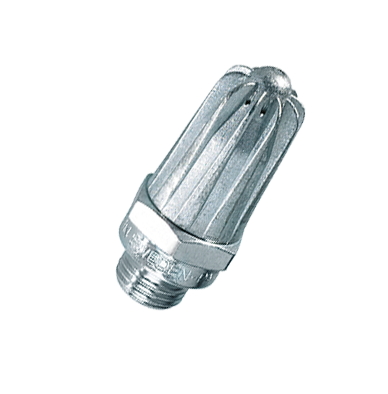 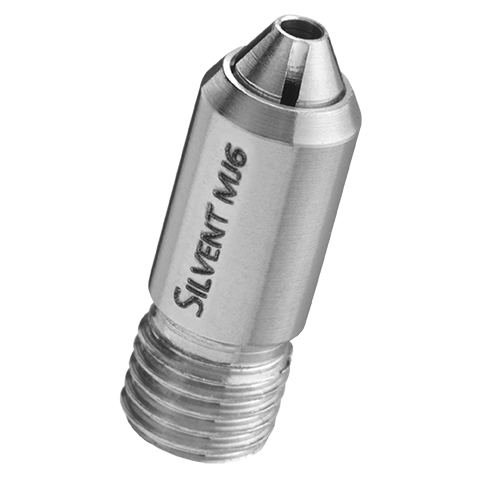 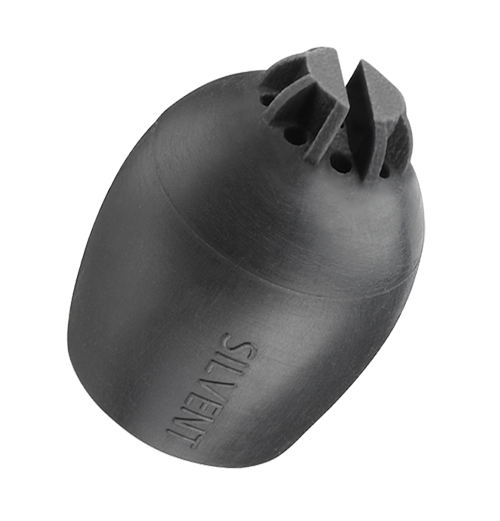 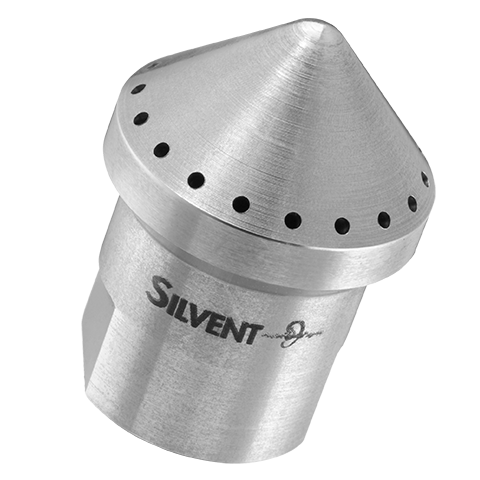 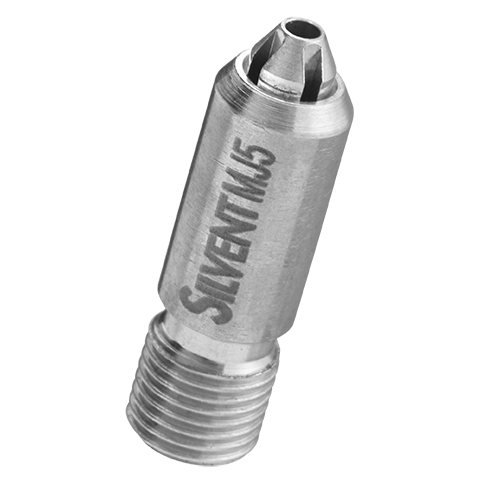 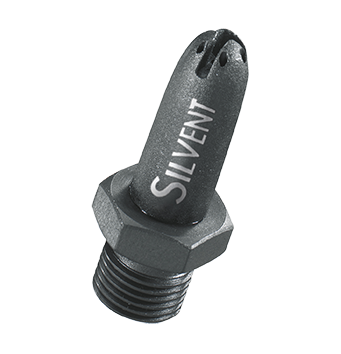 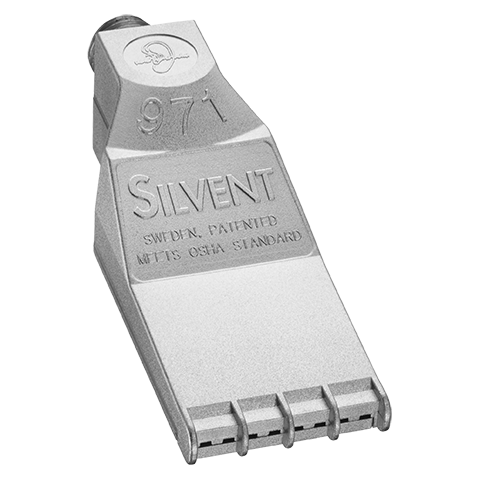 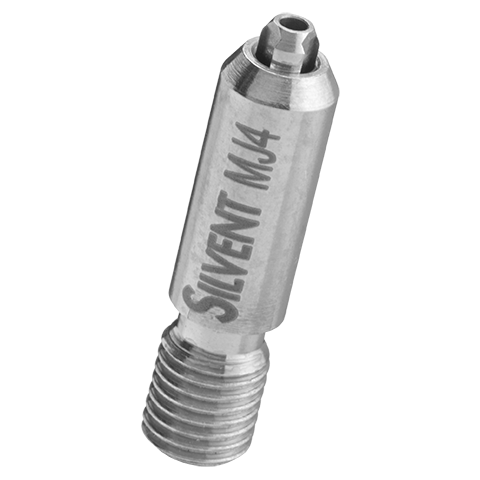 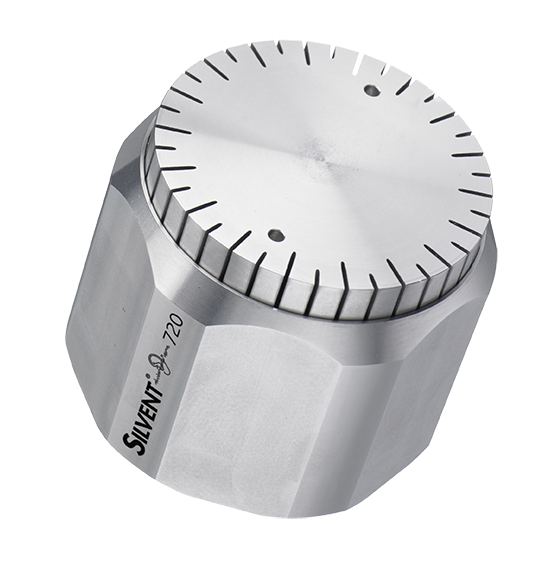 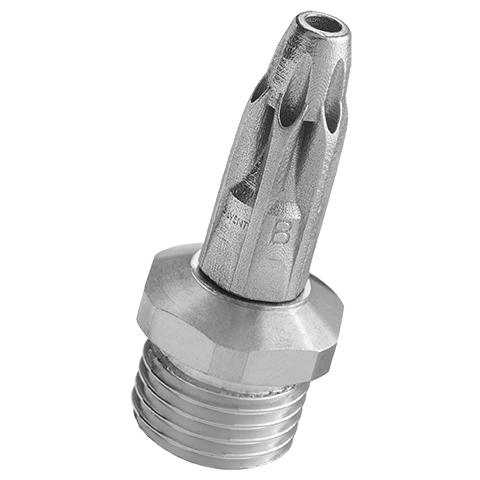 Designed for applications where SILVENT's standard nozzles may display certain limitations, e.g. 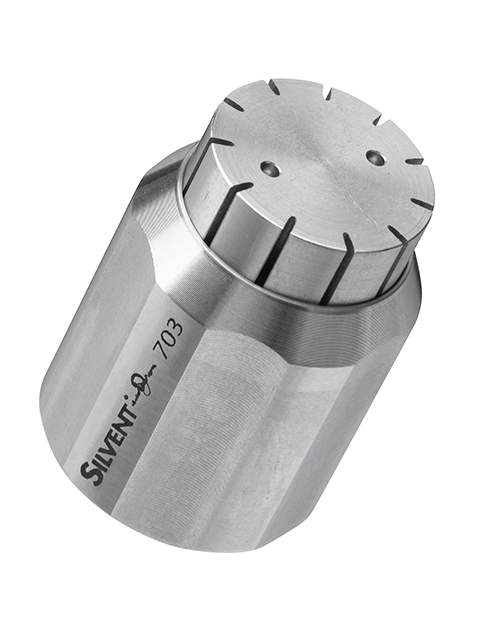 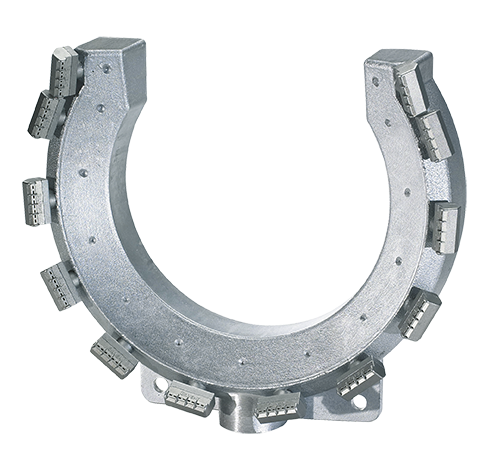 high ambient temperatures, hygienic requirements, mechanical wear, etc. 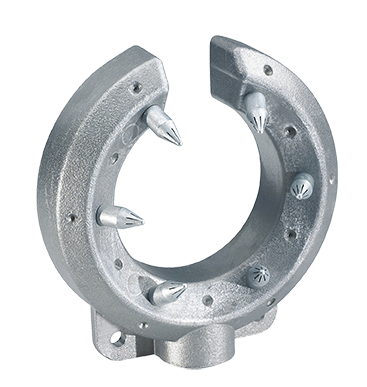 Meets OSHA safety regulations and EU Machine Directive noise restrictions.